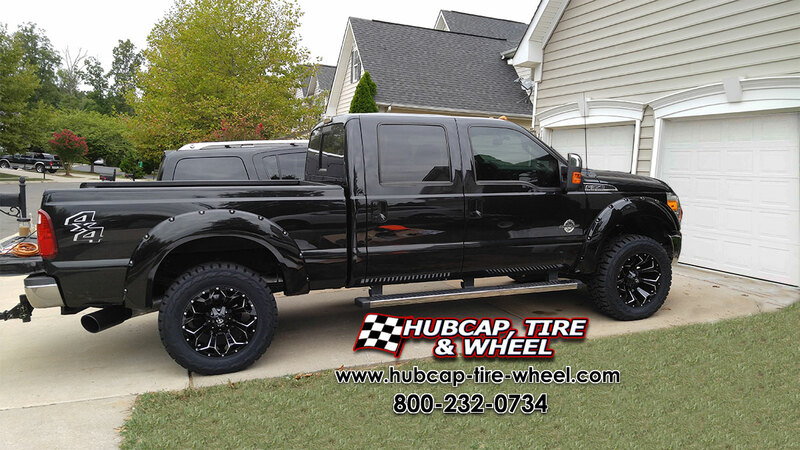 Our customer’s 2015 Ford F-350 Super Duty with 20×10 Fuel D576 Assault gloss black and milled wheels. The pictures are amazing as well as the truck itself. 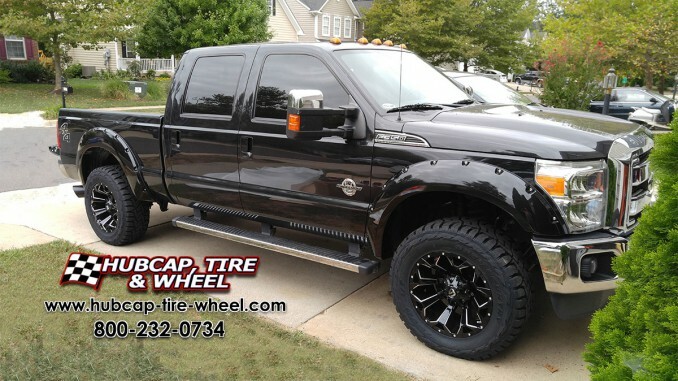 This customer did a fantastic job picking out a nice set of wheels for his F-350. The color combination with the milled accents to go with the chrome bumpers and running boards is really cool. The look is custom but also not over the top like some people tend to go. This is a perfect mix. Painted Bushwacker Max Coverage Fender Flares (Tuxedo Black) Part # 20931-42 – Call us to order for great low prices. If you have any further questions about this set or any questions regard wheels or tires for your truck, please don’t hesitate to call us at 800-232-0734. We have wheel and tire experts here with over 100 years of combined experience and have been doing this all their lives. They know what they are talking about and love to discuss fitment questions or any other questions you might have with your vehicle. Go to our web page and click on contact us to find out our phone hours. You can also message us on that page too any day, any time.